Know The Font Of This Headline? You're 'Just My Type' Are you an Arial person? A Times New Roman? A Garamond? Like the car you drive or the clothes you wear, your typeface can help express your personality. Author Simon Garfield talks about the fashion of fonts ... and why so many people hate Comic Sans. Are you an Arial person? A Times New Roman? A Garamond? A Lucida Handwriting? So much of our communication is expressed in text these days that people become deeply attached to the typeface they use to type out their thoughts. Bold or unbold, serif or sans-serif — like the car you drive or the clothes you wear, your font expresses who you are ... and can go in and out of style. "Type, like fashion and music, comes in and out of vogue," Simon Garfield, author of Just My Type, tells NPR's Audie Cornish. So what's in right now? "I think now script fonts are making a comeback," he says. Fonts didn't always hold such a significant spot in the cultural imagination. Before personal computers, type looked largely the same. "Everything basically looked like the typewriter font," Garfield says. "It was a liberating thing in the '80s" when it became possible to manipulate fonts with the click of a mouse. But with great power comes great responsibility ... and some didn't use their typeface forces for good. To wit: Comic Sans. If you've ever printed signs to advertise a yard sale or sent invitations to your child's birthday party, chances are you've employed the wildly popular Comic Sans. The playful letters became so overused that it inspired a backlash. Garfield is hardly a fan, but he comes to Comic Sans' defense. "The key thing with Comic Sans and with all fonts is really the use to which it's put," he says. "If you used it ... to invite people to your school fair, that was great. [It was] not so great, however, when it began appearing on the sides of ambulances and gravestones." Garfield recalls one member of the Ban Comic Sans "movement" saying: "If you use it in the wrong place it's like inviting a clown to a funeral." 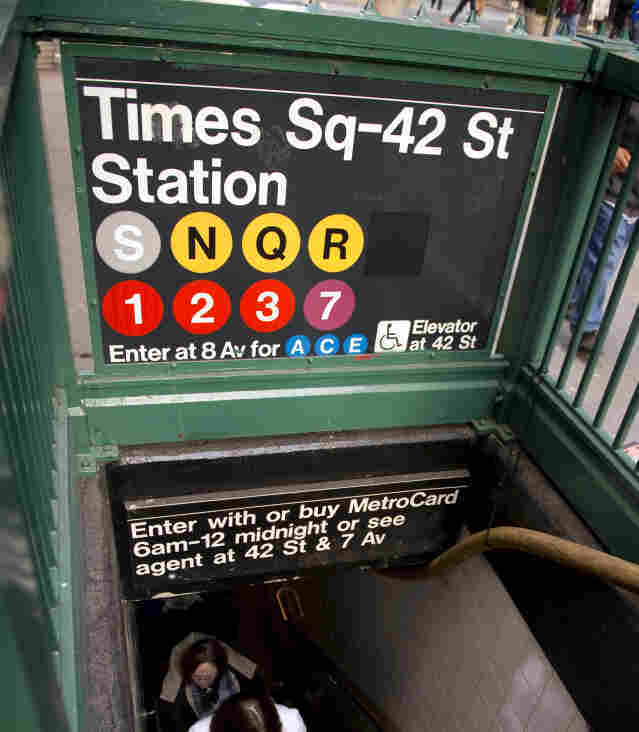 Helvetica is the chosen sans-serif typeface of the New York City subway. Then there's Helvetica — a typeface used so widely that for many people it has become essentially invisible. (The 2007 documentary Helvetica chronicled the many uses of Helvetica in our everyday lives, from public transit signage to corporate logos.) In Just My Type, Garfield follows the story of one man who tried to spend a day without Helvetica — and found it almost impossible. "He couldn't get up in the morning," Garfield says. "His T-shirt label instructions had Helvetica on them. He couldn't use a dollar bill because the numbers were in Helvetica. He couldn't go on the New York subway because [all the signs were] in Helvetica as well. It's really taken over the world." But fonts come and go, and Garfield says that Helvetica has a rival these days: Gotham. (You may recognize Gotham from Barack Obama's 2008 presidential campaign materials.) 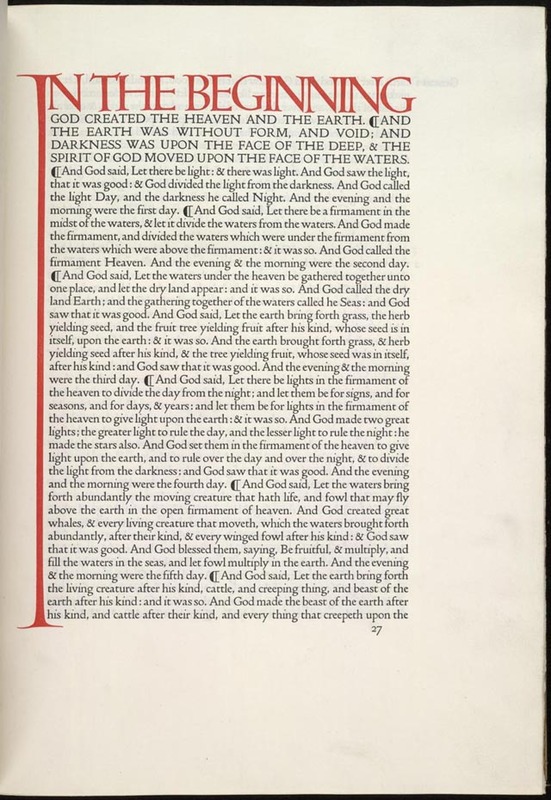 But while fonts today simply fall out of fashion, back before computers, getting rid of a font wasn't simply a matter of waiting for it to fade away. Take, for example, the Doves typeface, which met a rather abrupt end. Sanderson formed a publishing house that printed using Doves type, but after a terrible falling out, Sanderson decided that he did not want his publishing partner to be able to use the font after he died. "So he took all the letters that had ever been made with Doves and he took them to Westminster Bridge over the [River] Thames and threw them in," Garfield says. ... don't get any ideas, Comic Sans haters.